Cancer drug maker Celgene said it will buy Receptos for $7.32 billion in cash, gaining a drug Receptos is studying as a treatment for multiple sclerosis and ulcerative colitis. Celgene agreed to pay $232 per share for Receptos, and the companies valued the deal at $7.2 billion excluding Receptos' cash on hand. That's a 12 percent premium from the Tuesday closing price of Receptos shares. The stock has surged more than fivefold over the last year as its drug ozanimod progressed in clinical testing. Celgene Corp., based in Summit, New Jersey, reported about $2 billion in first-quarter sales of its drugs, which include the multiple myeloma treatments Revlimid and Pomalyst and breast and lung cancer drug Abraxane. Revlimid, its top seller, is also used to treat severe anemia and mantle cell lymphoma. The purchase of Receptos is part of a push to boost its sales of treatments for inflammatory and immune diseases. In 2014 Celgene launched its first drug in that category, the psoriasis and psoriatic arthritis treatment Otezla. Receptos Inc. doesn't have any approved drugs on the market. The San Diego-based company expects results from late-stage trials of ozanimod in 2017 and 2018 and hopes to get the drug approved as a treatment for multiple sclerosis in 2018. In addition to ulcerative colitis, Receptos is also studying the drug as a treatment for inflammatory bowel disease. The companies said they think its annual sales could reach $6 billion. In extended trading, Receptos shares added 10 percent, or $21.17, to $228.35. The stock closed at $37.75 a year ago. Celgene shares rose nearly 6 percent, or $7.07, to $129.92 in late trading. 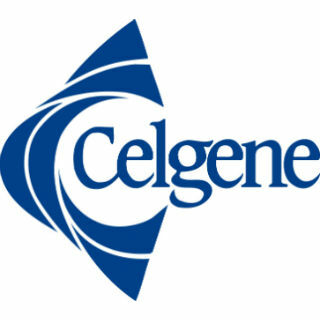 Last month Celgene agreed to invest about $1 billion in drug developer June Therapeutics Inc., mostly by buying stock. The companies plan to develop cancer and autoimmune disease treatments.